Do you have any memories of the hospital? 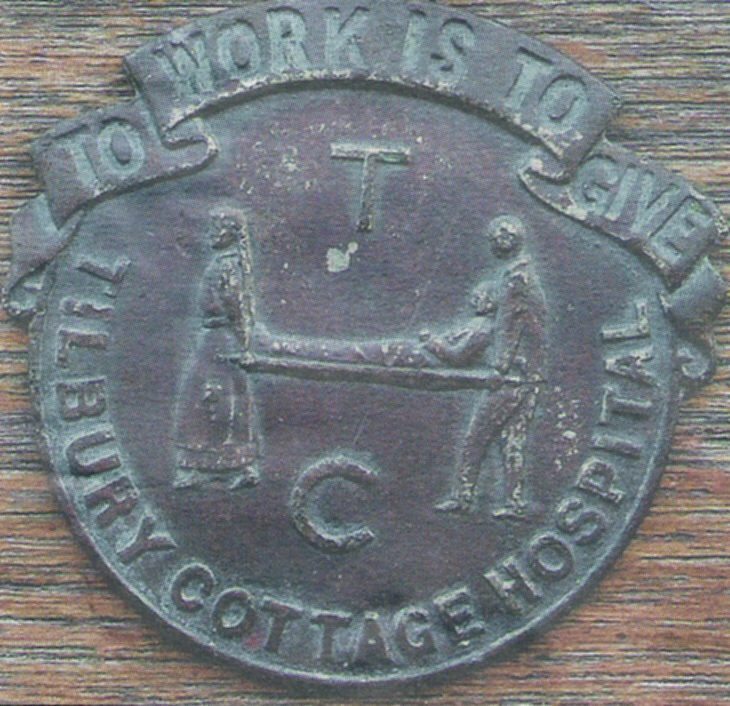 Until 1895 anyone falling sick or having an accident in Tilbury and requiring hospital treatment had to be taken to Gravesend or London. From 1882 efforts were made to build a hospital in Tilbury to meet this need but without success. In 1894 Mr Ephraim Wright wrote to Passmore Edwards asking for his help. A committee was formed and received its first subscription of £500. The Tilbury Dock Company gave the land. 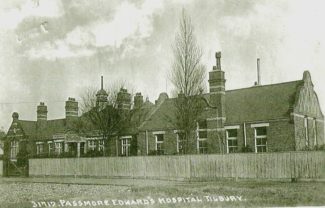 The foundation stone was laid by Passmore Edwards in October 1895. 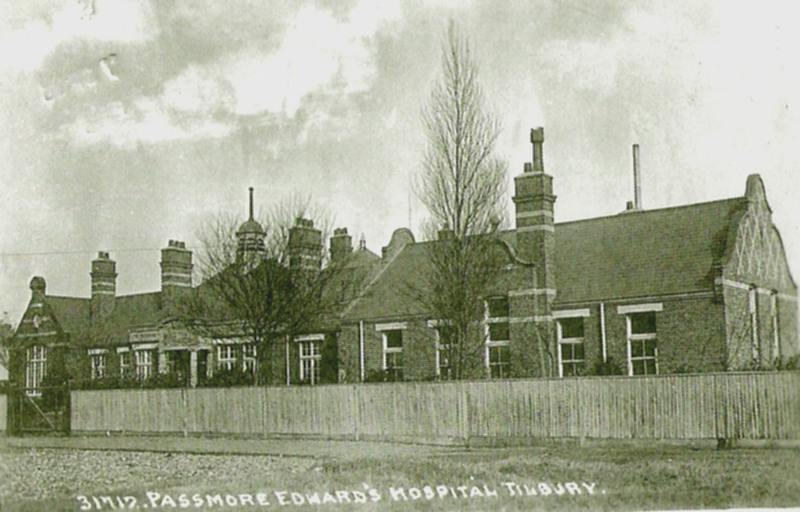 The 15 bed hospital was built opposite Tilbury Dock gates and opened by Passmore Edwards in June 1896. Over the years the docks expanded and so a larger better equipped hospital was needed. 1924 was a very eventful year in the life of the hospital. 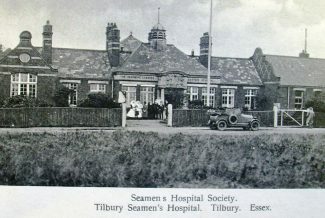 The administration was transferred to the Seamen’s Hospital and the Passmore Edwards Hospital was renamed Tilbury Hospital. Dr. J.J.S. 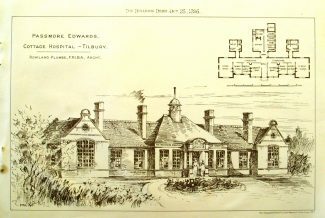 Rowe of the Dreadnought Hospital, Greenwich was made resident medical officer. Accommodation was increased to 50 beds and they were also able to cater properly for outpatients. An X-ray machine had been provided and the operating theatre had been refurbished. Mr. Singhanee of Poona, India made a gift of £6,732 to provide a ward for Indian seamen. 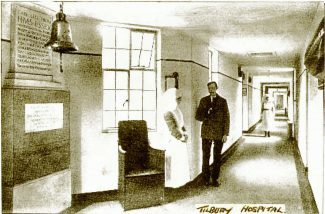 Tilbury Hospital was chosen as the location for this and the “Singhanee Ward” was opened in June 1924 by the Duke of York. 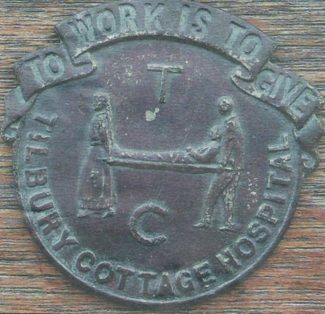 The Ladies Linen League was formed to provide and maintain the linen and garments for the hospital. The Dreadnought Ladies League raised money for the materials that were used. In 1948 with the formation of the National Health Service the hospital was taken over by the South East Essex Hospital Management Committee. 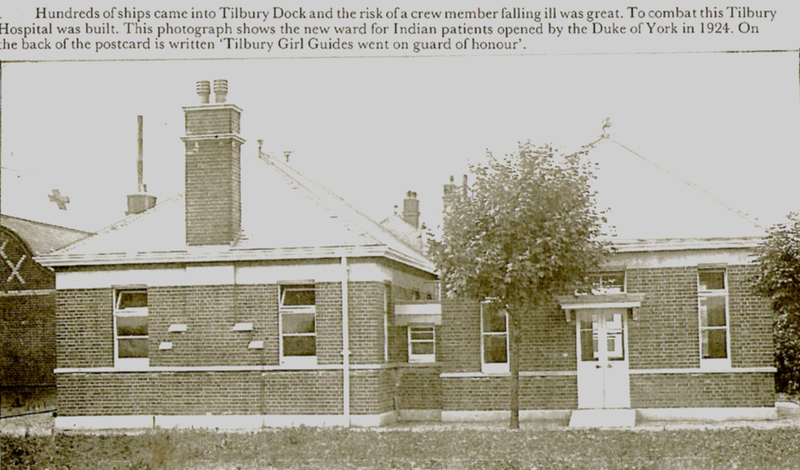 It was very popular with the Tilbury people in the 1940s and up to the 1960s. 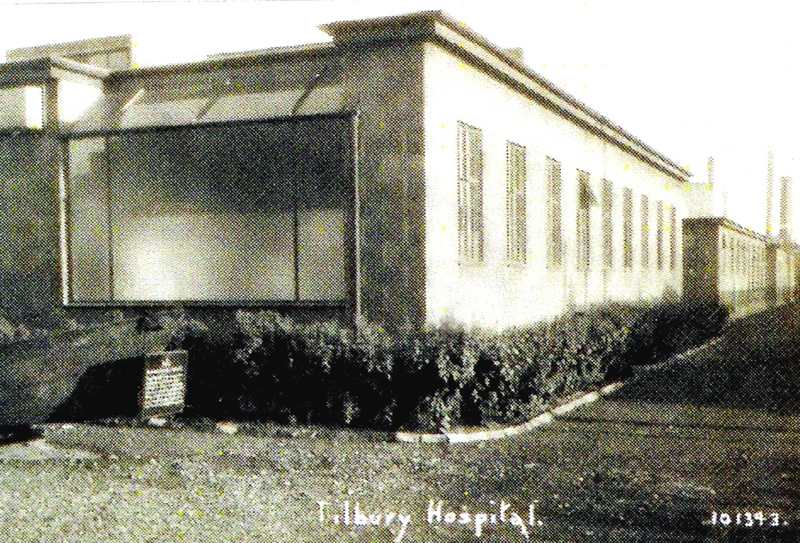 In 1950 it became the Tilbury Branch of the Tilbury and Riverside General Hospital. 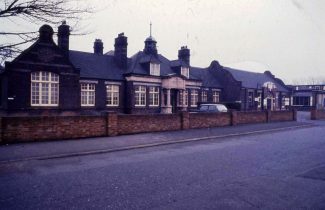 In 1953 Orsett Hospital was chosen as the preferred main hospital for the area and inpatient work transferred there in 1969 bringing about the closure of Tilbury Hospital and its subsequent demolition. Hi Chris, I remember yourself, Ted, Charlie, Graham and many others very well. Are you still in touch with any of the young ones. Kind regards Paul H.
I remember quite a few of the people mentioned,notably Chris Hills Who was probably about the same age as me. John Simpson I knew at Orsett hospital,long tall John cooked in the Orsett kitchen when I knew him . Sister Ponder I cant really say I knew very well. Like many others she moved to Orsett when tilbury closed. I believe she died early 70’s .two charge nurses John Broadhead and Frank Ahrens also moved to Orsett . from tilbury.. There is a Frank Ahrens ward in Basildon hospital , but nobody now seems to remember Frank or who he was. The man I really remember from Tilbury was Fred Baxter.. Fred worked in the op theatres ; fred taught me a lot when I was just starting in the op theatre profession. Fred was very knowledgeable and had a wealth of experience..Sadly poor Fred died in the early 70’s too. About the same time as Sister Ponder. I left Orsett a year or two afterwards,in 1972. Ted Yallop and Chris Hills ! I remember Ted Yallop from Orsett hospital. I worked in Theatres at Orsett ’68–’72. Chris Hills I remember from Tilbury, we where both involved with a Christmas Show there. I was trained as a registered nurse at Tilbury and Riverside Hospital from 1960 to 1964 and spent a lot of the time at Tilbury Hospital. I have such wonderful memories, as I met my future husband while there. Yes it was within the Hospital grounds alongside Peninsula Road. 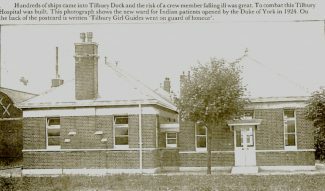 Can anyone recall where the nurses’ home was located for the Tilbury hospital? What a very ordinary name for such a distinguished looking gent, as I remember it he must have lived in Kent as he used the Ferry every day. You are not, by any chance, the same Chris Hills that married Michael Hall’s older sister? The bearded “pathologists” was Ted Yallop who was was the Chief Technician in lab in the 60’s. I worked in the lab. As a student technician from 1967 until we moved to Orsett. Then moved to Basildon Hospital. When Orsett Lab. closed. I’ve just had another blinding flash of memory – I suddenly saw Sister Prior, totally in command of all she surveyed, sailing down Inchcape ward like a stately galleon. During the period late 1959 until early 1964 I sold newspapers to patients and staff alike both morning and evening from Monday to Saturday whilst working for W.H.Smiths at Tilbury Riverside station. Sundays were covered by Roland Revel who worked for Wrights newsagents near Tilbury Town station. I had free access to the porters mess, the workshops, kitchen, all the wards, the telephonist etc. I remember playing tennis with the nurses in the long summer evenings, I remember the matron having absolute power, I remember Inchcape Ward, the nurses’ home, the mortuary and the very neat gardens and grounds. Ahh so many memories. In 1969 I had my appendix removed in Tilbury hospital. A scary time for me! I was 9 years old and it was an experience I’ll never forget. 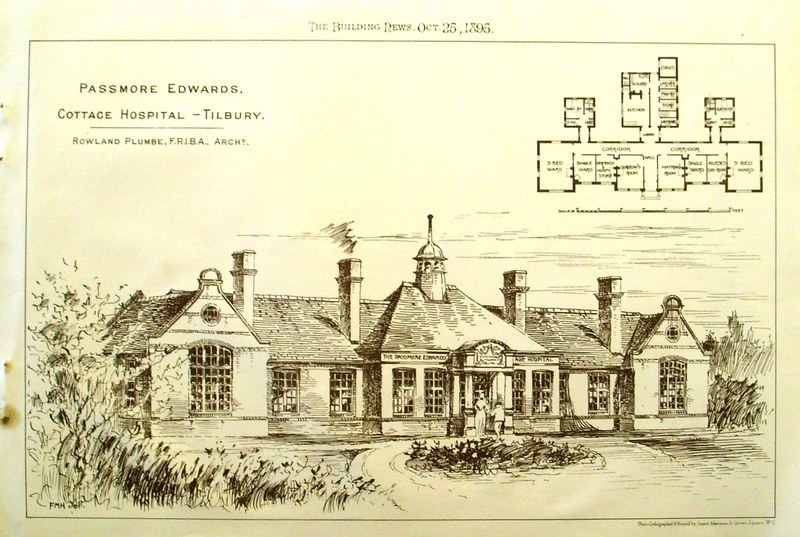 Sorry to put a downer on Tilbury hospital, but people were living in absolute fear of going in there for an operation. I was the last to see my favourite uncle Fred just before he went in for an op on his stomach ulcer, He never came out, died under the op. This frightened my dad so much he put up with his ulcer for years and years. he finally had it done in Chelmsford in the 80`s. He is still alive today and is in a home in Chelmsford, he is 98. We lived at number 12 railway cottages back then, this was just a stones throw away from Tilbury hospital. Jeff, was the other John you mentioned John Ferry. I remember him at Orsett where I was a nurse. Before that he lived by me in the prefabs at Chadwell. I remember having a minor op in Tilbury Hospital as a young boy in the 50’s. I then worked in the kitchens as a trainee chef part time from 1966 to 69. Nothing was wasted, even the unused food returned from the wards was minced up to make soups! I worked with John Simpson, and another John until we all got moved to Orsett. I was born in Peninsula Road, just across the road from the hospital, all through my childhood i’d had my share of scrapes cuts etc, nothing serious but I certainly got to know the inside of the casualty dept as well as playing in the hospital grounds. Very happy memories. 1960 I remember when I was about age 14 playing Carols with Tilbury Band to the patients at Tilbury Hospital on Christmas day morning. 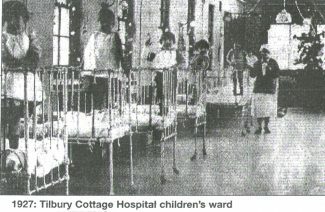 my vivid memory of this hospital, was when my younger sister Dawn, had to go in and have adenoids and tonsils removed, i can see her now waving out of the window, while kneeling on a bed, all was succesful, the year must have been, 1961, i also was taken there after falling over a wall, and dislocating my collar bone,1963, happy days.